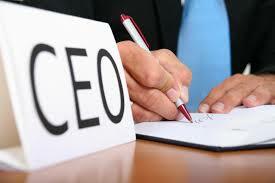 What is CEO Leadership Forums? What can you do differently, as a leader, to bring your organization to its full potential? Successful leaders combine great business sense with inspiration, guidance and unwavering authority. The CEO Leadership Forum creates a unique environment that provides each member with the individual insight, coaching, strategies and leadership skills needed to achieve better decisions and results for their company. Running an organization is hard work – but leaders still need find time to develop their leadership skills. Great leaders know to move with the times, and not think that a training course attended three years ago will be enough to stay on the cutting edge. Ongoing leadership development is vital not simply some leadership training course with a start and an end date, but rather a continuous development opportunity that will personally challenge the leader and keep them sharp, informed, and encouraged. To connect with up to 16 executive peers from a diverse range of noncompetitive businesses and backgrounds in this unique peer advisory and executive leadership development program. Harness the power of a group of fellow CEOs all driven to do the best for themselves and their peers. Hear from top speakers and learn valuable concepts that can lead directly to actionable tasks and improved results.